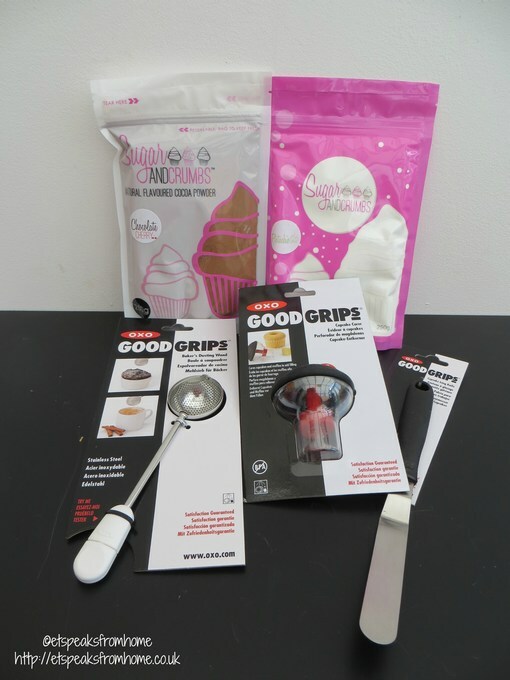 If you have not seen the cupcake corer, do watch this video which demonstrates how to use it. It is simple to use and easy to remove for cleaning. Each time it gives a perfect core which is about 2 cm deep. I had tried it on a fairy cake and it gives a perfect core even though it is only 3 cm tall. Sometimes the core of the cake does not always stay in the cupcake corer so in my case I ended up having to shake the whole cupcake upside-down to remove the core. I did place the core back onto the cupcake but I did trim it before I put it back for icing. 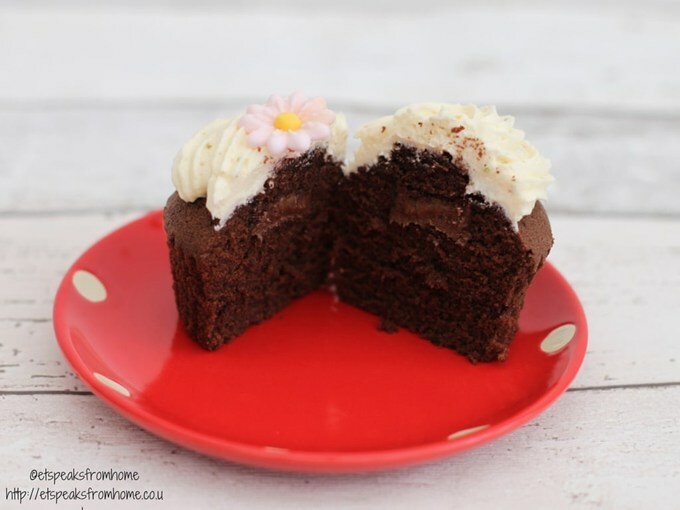 This chocolate cherry cupcake recipe is from Sugar and Crumbs to make 12 small cupcakes. 1 – 2 tablespoon of warm boiled water. Cream the margarine and sugar together in a bowl until pale then beat in the eggs a little at a time. Fold in the flour and chocolate cherry powder and add the warm boiled water until the mixture is of a dropping consistency. Fill your cupcake cases with the mixtures. This is the pistachio icing recipe which again I took from Sugar and Crumbs. Place butter at room temperature into your mixing bowl and mix for several minutes until it is light, fluffy and soft. Add half of your icing powder to the butter and beat. Add the remaining icing sugar to the mixture with a tablespoon of milk and beat. Add colouring if you wish. I had added chopped pistachio into the icing sugar. After the cupcakes are cool, I used the cupcake corer to pull out the core and placed a spoonful of Nutella into the hole before replacing the trimmed core back to the cupcake. Then I placed the icing sugar into a piping bag and swirled around the cupcake. 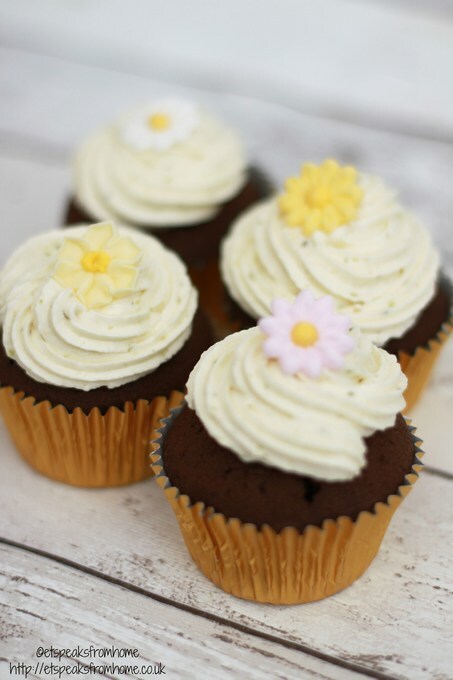 To decorate, you could add chopped pistachio, flowers, sprinkler, icing sugar etc. I used the piping bag to decorate the top. If you make an error, just use OXO’s icing knife to scrape it away. I used this OXO’s baker’s dusting wand to dust icing sugar around the cupcake. It is made from stainless steel. To open the scoop, simply twist the handle, scoop the ingredients, close it and it is ready to dust. It is so easy to use and spread evenly on the surfaces. Hope you like my cupcakes! They are in fact quite delicious! 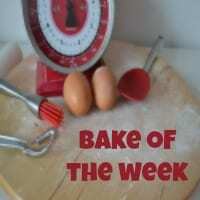 So what will you baking this week? Disclosure: We have received the samples to do this challenge.